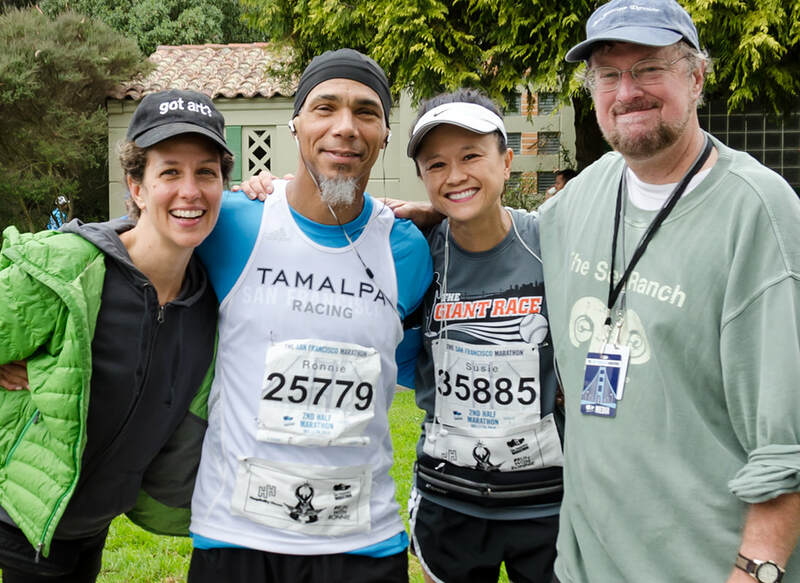 Hospitality House artist Ronnie Goodman and supporters at the SF Marathon “Run with Ronnie” benefit which raised $15,000 for Hospitality House in 2014. While Hospitality House receives support from an amazing array of foundations, corporate partners, and public grant makers, contributions of any size from compassionate individuals really makes the difference in our ability to provide critical services to thousands of people struggling with poverty and homelessness in San Francisco. When you give to Hospitality House, you are supporting a wide spectrum of low-threshold, peer-based programs that assist and empower. ​It’s easy and secure to make a one-time donation online or by mail. You can also become a sustainable donor with a recurring gift that helps us address the on-going needs of the communities we serve. Or participate in our Second Chances online campaign and tell your story of Second Chances. You can make a donation by clicking on the button to your right. Double or triple your donation by participating in a matching gift program with your company. Ask your Human Resources Department, or we can tell you how. Just email us or call 415-749-2184 for more information. ​While many of the day-to-day volunteer opportunities within our programs are reserved for participants seeking to build their skills and resumes, there are often volunteer opportunities at our events, in the Community Arts Program, and for special projects. For more information on volunteering in the programs, please contact David McKinley at 415.749.2102 or for our fundraising events, please contact Allan S. Manalo at 415.749.2184. Honor a friend or loved one: Donate in someone’s name and we’ll send a special card created by an artist in our own Community Arts Program to acknowledge your tribute. Visit our jobs page to see which positions are currently available.